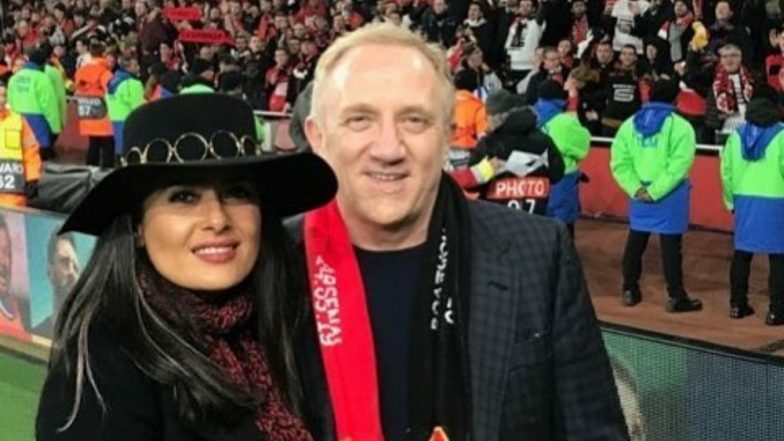 Salma Hayek's husband François-Henri Pinault pledges to donate approximately $113 million to help rebuild the Notre Dame Cathedral after the recent tumultuous incident. His is the first big donation to be announced for the Notre Dame Cathedral. A public fundraising drive has also been announced by the government of France on Tuesday. Sharing a statement on behalf of Kering, an international luxury group which controls a number of fashion businesses such as Gucci, Alexander McQueen, Stella McCartney, Saint Laurent and Balenciaga, François-Henri Pinault told a French newspaper Le Figaro, “My father (François Pinault) and myself have decided to release a sum of €100 million from our Artemis funds (the family holding company) to participate in the effort that will be necessary for the complete reconstruction of Notre-Dame.” 82-year-old Pinault Sr. is worth an estimated $37.3 billion as per Bloomberg's Billionaires Index. Regarding the Notre Dame cathedral burning, French president Emmanuel Macron, in his speech, stated, “The worst has been avoided, but the battle isn’t fully won yet. It is with pride I tell you tonight we will rebuild this cathedral . . . we will rebuild Notre Dame because it is what the French expect of us, it is what our history deserves, it is, in the deepest sense, our destiny.” The fire has been contained and the redevelopment work will be starting soon.